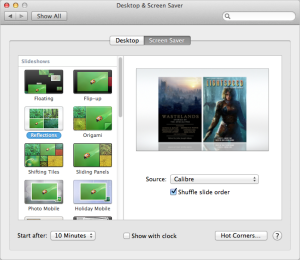 This restores the slideshow behavior from previous versions of Mac OS X; until now, it was inexplicably absent from Mountain Lion (10.8). Missing support for nested folders made it inconvenient to use photo collections organized in folders as the basis for screen savers. 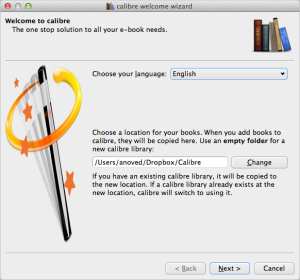 Calibre organizes your ebook files, including cover images, in subfolders of a main library folder. 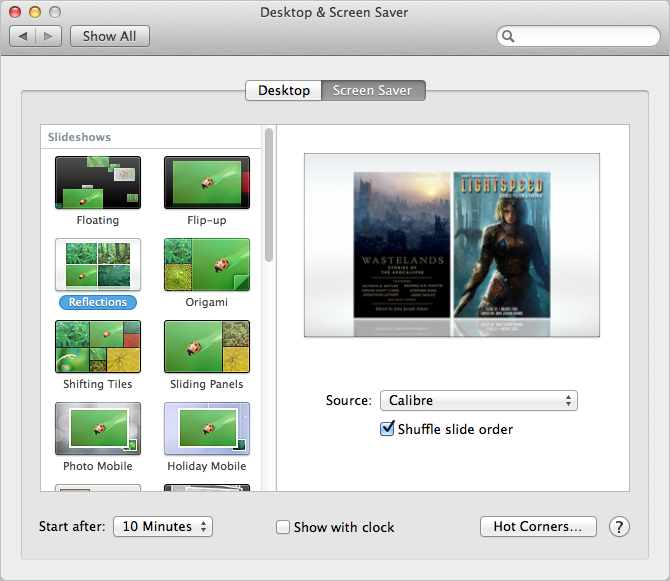 So, now you can select your Calibre library folder as the source for a slideshow screen saver. 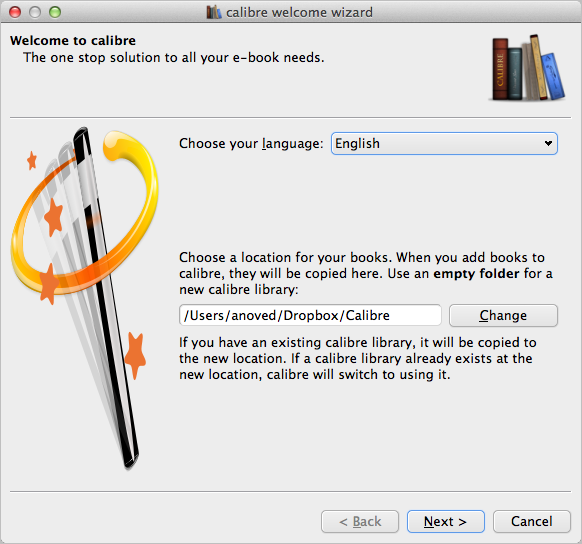 (If you don’t know where your library folder is, you can re-open the Calibre Welcome Wizard to check the location, as pictured at left above.) The screen saver appears to ignore files that aren’t images, so the result is a slideshow of cover art from your ebook library. This works out nicely if, like me, your ebook library contains many magazine issues with great cover art. Posted on Friday, March 15th, 2013. Tags: books, mac.